Arrangements have been completed with OM Books Foundation based in Secunderabad, India for an initial printing of 1,000 books in English paid for by the ministry of Pray Until Schizophrenia Heals. "This seed is being sown in faith into a nation where thousands upon thousands of mentally-enslaved people need the hope of being set free by Jesus Christ. 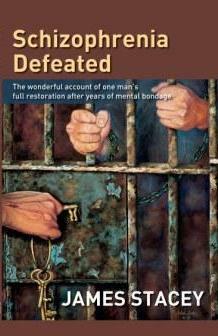 I believe the impact of the book will grow and grow resulting in the captives being set free. It is hoped to reach individuals and families with the book through a wide distribution network of Operation Mobilisation's Bookshops and O.M. India bases." says James.